If you want to root your Telstra Dave / ZTE T83 then the below root guide will help you to root your smartphone with the easiest available method. 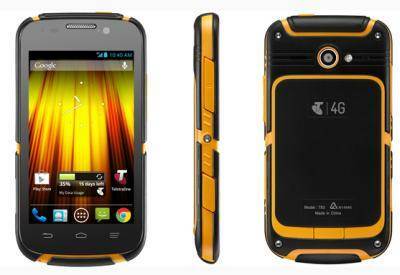 Now you can root your ZTE T83 without PC, just use Framaroot. This app includes several exploits named after the heroes of the book “The Lord of the Rings”: Gandalf, Boromir, Pippin, Legolas, Sam, Frodo, Aragorn, and Gimli. You can install Superuser and su binary a phone or tablet from Android version 2.x to 4.x. All compatible devices can be found the official site. Unroot also very simple, just use this option in the Framaroot application. The ZTE T83 comes with a ton of stuff already pre-installed on it that you’re probably never going to need. Pre-installed apps are hard (or impossible) to remove without a rooted device. Once your Android is rooted, you’re free to do what you want with it, and that includes removing unwanted bloatware. All those apps not only take up storage space that you might be able to put to better use, but they slow down your overall speed. If you want a quick, streamlined device — try rooting. Disclaimer: Rooting your device can void your device warranty do it at your own risk. Download The Framaroot app and install it on your Telstra Dave / ZTE T83. This Rooting guide should root your Telstra Dave / ZTE T83 successfully and will give you root access. Do lets us know whether it worked or not and don’t forget to share this with your mates. Hey do you know how to put the zte into recovery mode?